With the Visa Platinum ScoreCard® Rewards Card from First Community Bank, you can earn points with every purchase. Experience the freedom of points that can be redeemed for travel on any airline with no black-out dates. You can also choose to trade in your points for great merchandise. Visit www.scorecardrewards.com to learn more. Every time you use your Platinum Rewards Credit Card, you contribute to First Community Bank's continued effort to give back to local charities and organizations. Use your card to make a difference in the lives of others right here where you live. When you use this card to purchase your entire travel fare on a common carrier, you are automatically provided with Travel Accident Insurance coverage. Your spouse and eligible dependent children are also covered when their travel fare is purchased with this card. This coverage is provided to you at no extra cost. To further protect you, you will begin receiving texts and/or emails asking you to confirm if suspicious purchases are valid or not. We will ONLY ask you to verify if you made the purchase(s) or not. We will not ask for account or personal information. Keeping you protected is important to us, and we are excited to offer these new enhanced fraud services to you! **Need help managing your credit card online? Click HERE! 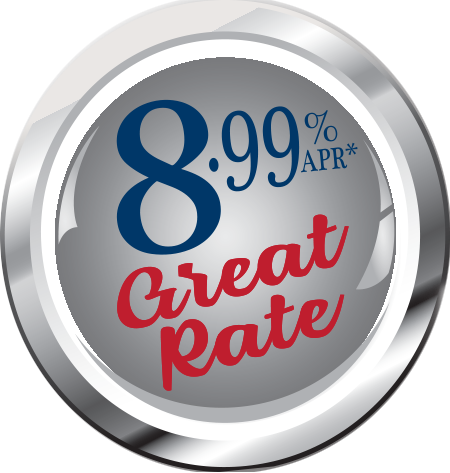 *APR = Annual Percentage Rate. First Community Bank has the authority to change the annual percentage rate upon 45 days written notice to the cardholder.